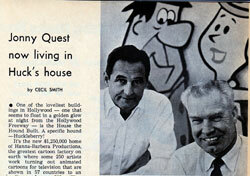 A page from TV Guide's January 25, 1964, issue contains the earliest known reference to Jonny Quest in print (even though it's spelled incorrectly). This June 13, 1964, issue of TV Guide includes an interview with Bill Hanna and Joe Barbera where the series is referenced by one of its pre-production titles, "Jonny Quest - File 037." Here's a scan of a short article from the Sept. 13, 1964, L.A. Herald-Examiner TV Weekly publication (scan courtesy Larry Garrett). Regional TV Guide from the no longer published Los Angeles Herald Examiner. 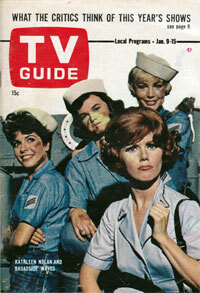 This is the Dec.6-12,1964 TV WEEKLY. There is a two page article on Jonny inside the guide. 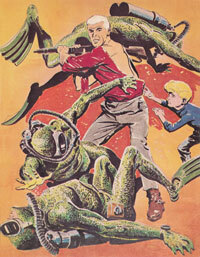 The inside cover of the Cleveland Press TV Showtime magazine from Dec. 11, 1964, features a dynamic Doug Wildey color painting of Race battling the Lizard Men. 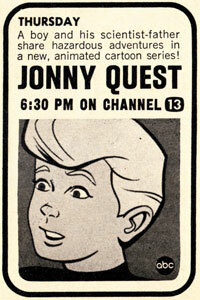 Jonny Quest ad in TV Guide, Jan. 9, 1965 Jonny Quest is featured in an ad and article in this issue. 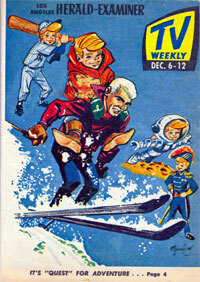 Jonny Quest made the cover for the TV Channels weekly television guide, week of Jan. 10, 1965. This guide was actually a package of art and articles for newspapers around the country with localized listings, so you see copies of this from various cities. You'll also see it with the name TV Times. Radio Times for BBC radio and television programming in 1965. 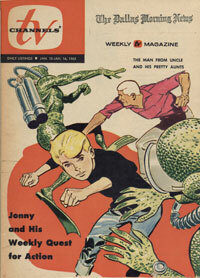 In addition to the weekly listings, some issues had short, illustrated articles about Jonny Quest. 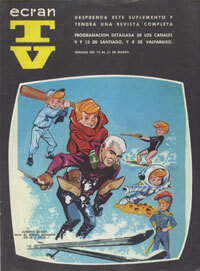 This is the cover to the March 15, 1966, copy of Ecran TV, a television guide from Chile. 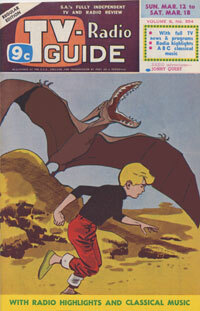 Jonny Quest and Turu made the cover of the March 12, 1967, cover of the South Australian TV-Radio Guide.